The unification battle of Egypt marked the beginning of the early dynastic period which acted as a stepping stone that led to the creation of the first royal dynasty in (c.3100 BCE) by the first Pharaoh “Narmer” a.k.a“Menes” that means “He Who Endures”. 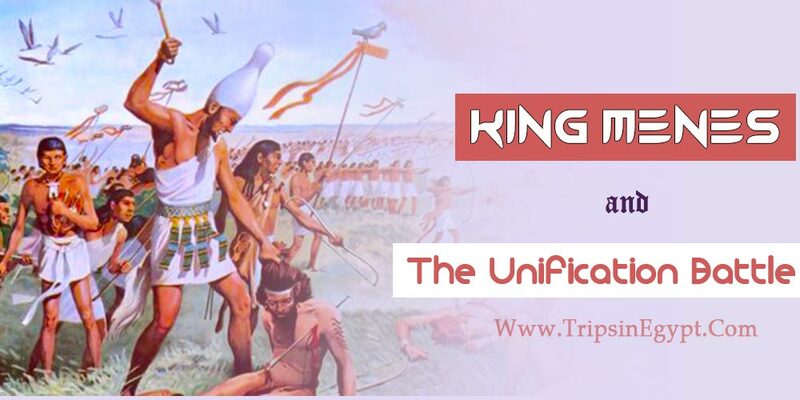 King Menes is credited with unifying Egypt into one peaceful empire as he was able to unite lower and upper Egypt into one single unified country through a massive battle across Egypt. Most the facts about him his era and gods like Hathor and Horus were known through “Narmer” palette which was discovered in 1988 and resides in the Egyptian Museum. He unified Egypt under one religion and made Horus the official god plus most of the common religious symbols were the Ankh and the Djed pillar, he also built the first unified capital for Egypt called Memphis city. He developed the economic condition by developing trade relations and diplomatic connections with other countries all across north Africa and nearby regions, the constructions of large projects and the military capabilities of Egypt which put Egypt on the right path of being the greatest military and economic force during ancient times. Finally, Egypt has more mysterious battles recorded on the walls of ancient temples worthy of discovering, so if you admire the ancient history of Egypt and need to travel to Egypt, then “Trips in Egypt” provides Egypt tour packages to explore the hidden secrets of Pharaohs with an expert tour guide or board a fabulous Nile cruise and enjoy the charming land between Luxor & Aswan and witness the enchanting sites of ancient Egypt.